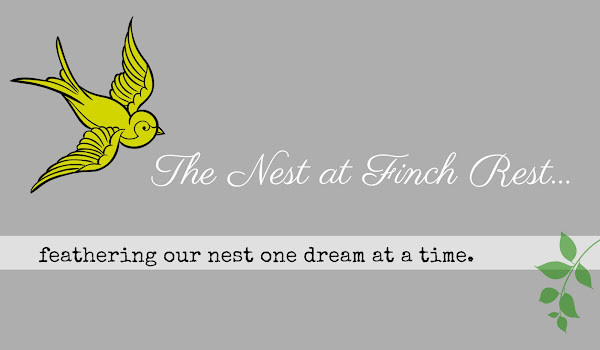 The Nest at Finch Rest: Baby, it's COLD Outside! but it just recently turned blustery! HAPPY DECEMBER 1ST AND ADVENT BLESSINGS TO YOU ALL! Oh how adorable! I wouldn't mind one of those cosy snow suits for myself. Oh my goodness, Michele! She is beyond beautiful! Those eyes! And that snowsuit! Love her! These carseats are amazing but difficult! I love that Emily and I can go shopping with little Madelyn, she just lifts the seat out and places into the stroller. Now if and when I do it...I'll be looking around wildly for help from anybody. Anybody in the dang parking lot! Cold here in Northern Illinois and I think it's finally here to stay. Hello winter! How precious! Warm and cozy for sure. I know you are having the time of your life with her. It sure goes by fast. Oh what a sweetie! What a beautiful blessing for you! Oh she is simply beautiful and looks so nice and warm in her snow suit. I know that you are to the moon and back with her - she is a blessing from heaven. 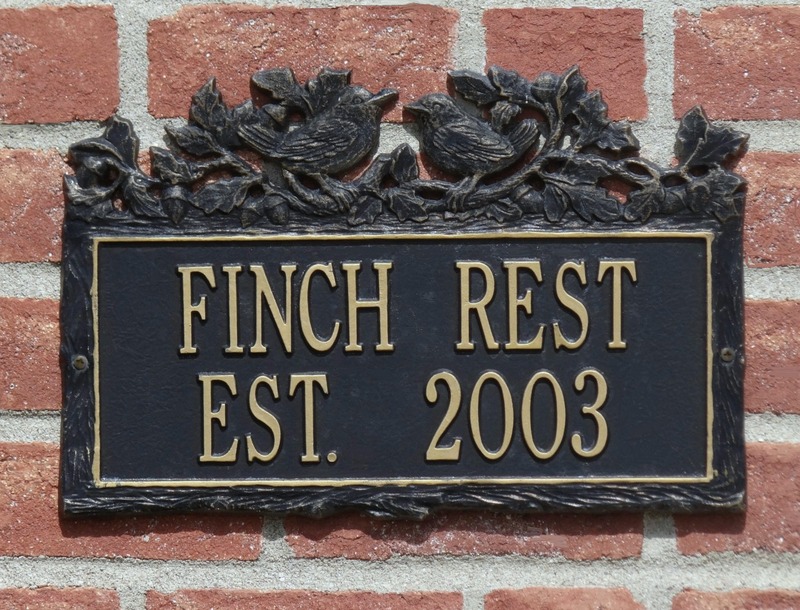 Have a wonderful week - we are so cold here with the Santa Ana winds blowing so hard. I remember those Ohio winters - stay warm and cozy. Love the sweet snow bunny, beautiful baby. And it's cold out here as well. What an adorable, precious snow baby, Michele! I just want to give her a big kiss. Happy Advent seasons to you and yours. Kitty's got it right...she looks just like one of those adorable snow babies. No wonder you're having trouble getting things done. Hope that your daughter was able to help out with that! Babies just love Christmas trees. 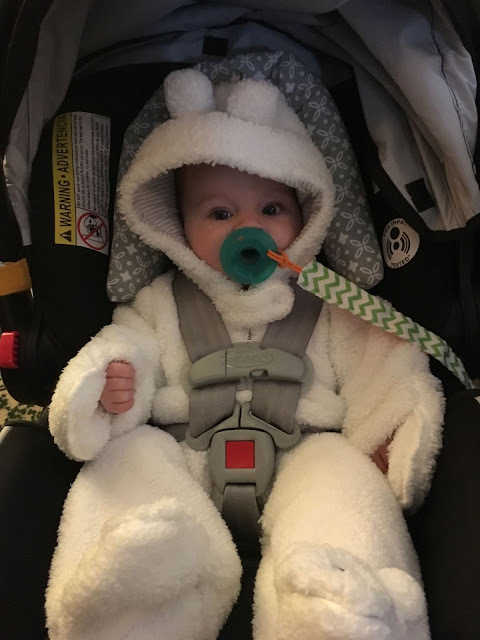 She is so adorable and I love her little snowsuit! Winter has arrived here also. What a Christmas you are going to have with your precious granddaughter this year. She is darling.